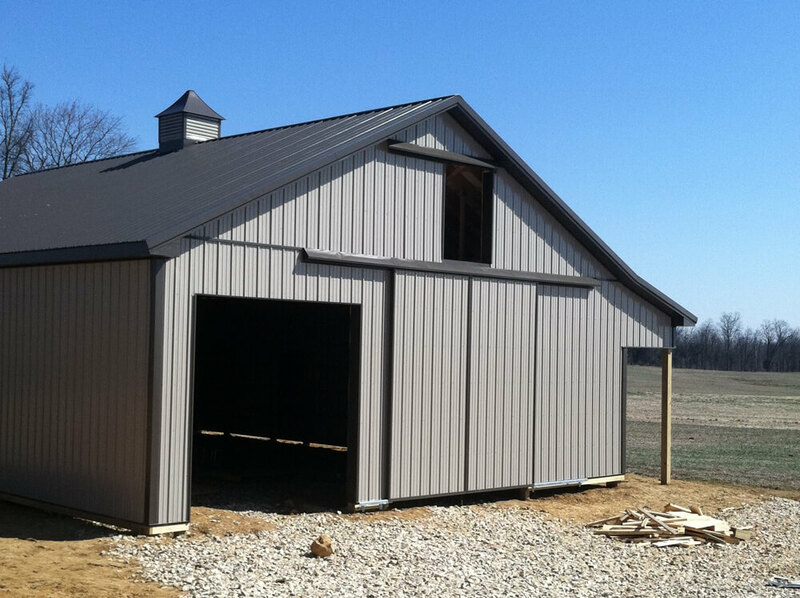 A previous pole building customer had a new need for a large horse barn to accommodate, as you may have already guessed, a few of his horses. There were a few simple goals in mind; he wanted the color and overall look of the building to closely match the existing pole building on the property, 4 dutch doors so the tops could be open to allow the horses to look out and get fresh air, a lean-to to shade the horses from the sun when they were looking out, and the finished stall in the interior. All the requests were easy to handle because APM also carries a full range of horse stall materials. One of our local recommended builders was chosen to take care of the construction. 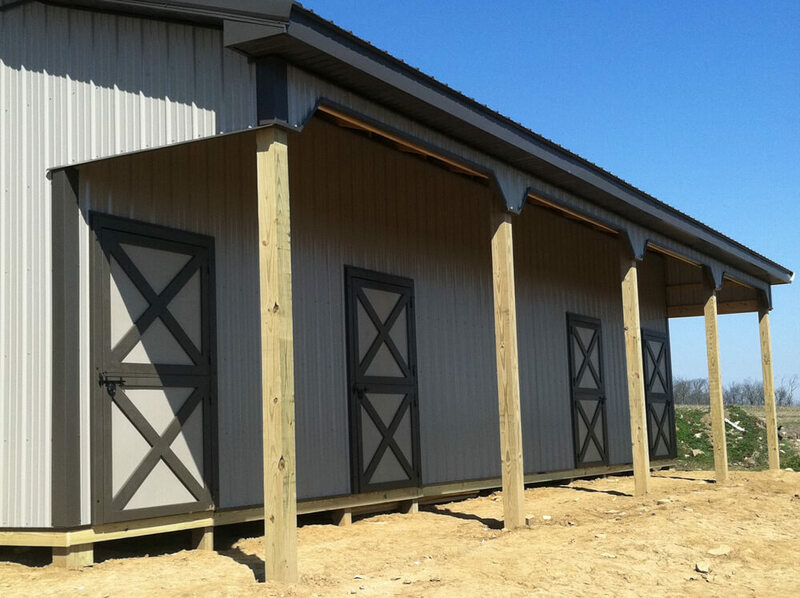 Our own Tuff-Post brand engineered posts were used as the main supports to hold up the trusses that were designed and built specifically for extra loading, as the loft area was going to be used for hay storage. Incidentally, the trusses were also manufactured by APM. By manufacturing our own posts and trusses we are able to keep costs down and pass that savings directly along to our customers, definitely a win/win situation.